We Specialize in OEM Injection Molding Solutions for Ohio, Michigan, Pennsylvania, Indiana, North Carolina, New Jersey, Kentucky and their surrounding area’s. 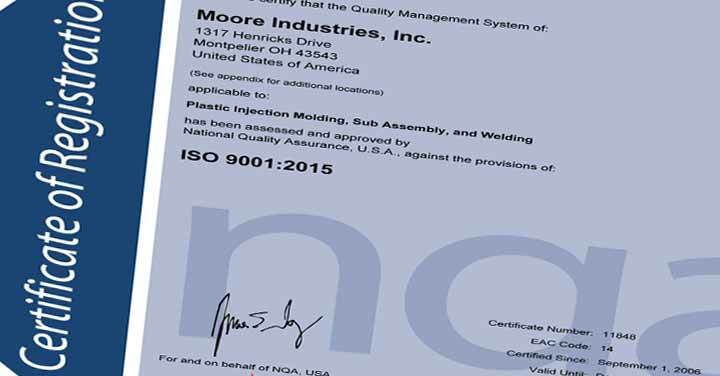 Our Central Ohio factory is also ISO 9001: 2015 certified and packed with all the latest technology. Don’t forget Moore is a COMPLETE SOLUTION SUPPLIER for ALL CUSTOM PLASTIC INJECTION MOLDING PROCESSES! Contact Us today for details.